Navy and White is such a timeless and classic color combination. It can work well year-round but especially for weddings by the water. When I think of Navy and White weddings I picture summertime, sailboats, girls in Navy dresses, full white hydrangea, a traditional wedding cake, and guests sipping cocktails somewhere on an outside deck. Not that you need to have a Nautical theme, or any theme, to use these colors. 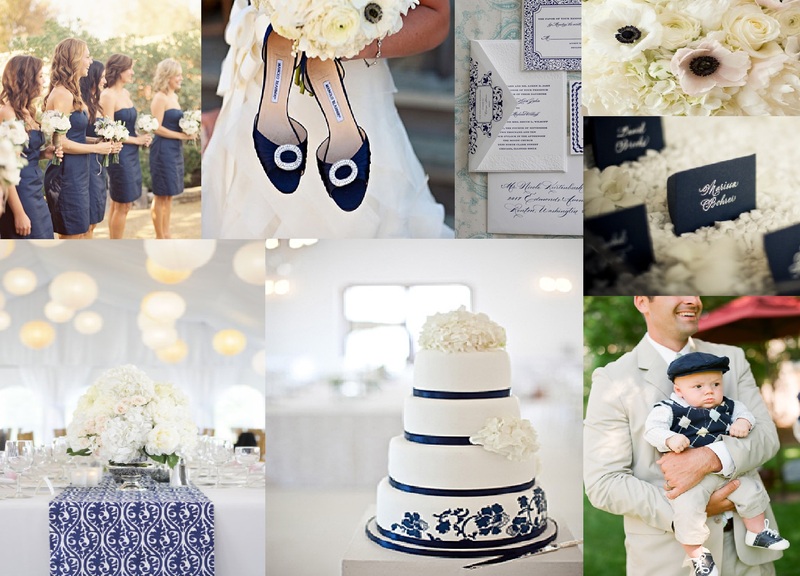 My inspiration board below represents a feminine approach to the Navy and White color palate, with traditional elements that will compliment any season or location.